We just trained 120 potential ANC candidates. What do you want to ask them? Image by U.S. Department of Agriculture licensed under Creative Commons. 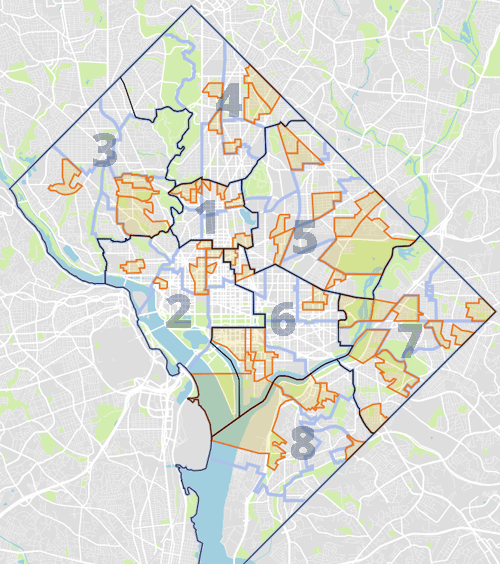 This fall voters in DC will vote for their Advisory Neighborhood Commissioner (ANC), a hyperlocal official that can have a lot of influence on how a neighborhood changes and grows. There are 299 positions up for grabs in November, and we just spent the last two months training over 120 potential candidates in our Run for ANC workshops. We want to know who the best urbanist candidates are. And we need your help! DC residents, what issues are important to you this fall when it comes to your choice for ANC? Fill out our survey below, and help us build an ANC candidate questionnaire for 2018. 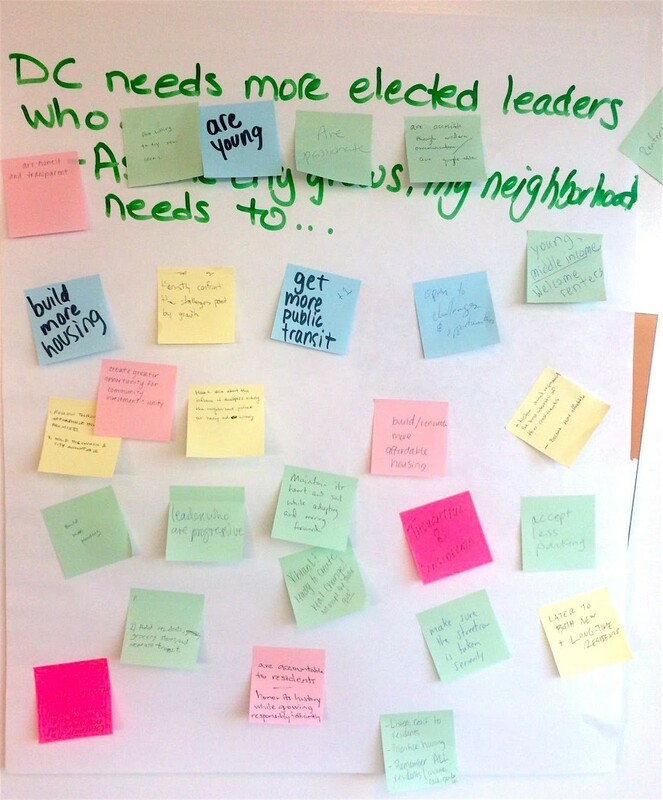 Advisory Neighborhood Commissioners (ANCs) are unique, hyper-local elected officials (they represent about 2,000 voters each) that advise DC agencies and the DC Council and can make significant impacts on the development and landscape of your neighborhood. These positions are non-partisan, meaning there is no primary and the November 6th general election is the only chance you get to vote for these candidates. 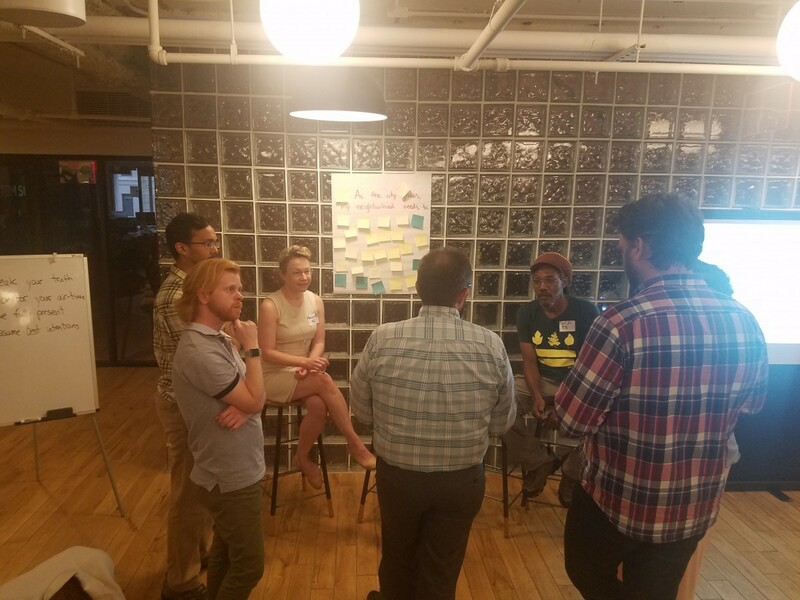 Last Tuesday was our final Run for ANC workshop for potential candidates, and we got a huge response from the community. All told, we trained over 120 candidates from all 8 wards and hailing from 31 of the 40 total ANCs. We’ll see how many follow through and get the required signatures to get on the ballot (due August 8th candidates!). Poster from our Run for ANC Workshop. Image by the author. Educating voters about these candidates, their issues, and what they actually do is really important. Many residents in DC don’t even know these officials exist. I often tell the story of the first time I voted in DC; on my way to the voting site I was stopped by a nice man with a firm handshake who asked me where I lived. When I told him, he said “great! You live in my district and you should vote for me for your ANC commissioner!” Sure enough, his name was on my ballot, and I’ll admit it: his handshake won my vote. Now that I know a little more about how important these leaders can be, I don’t recommend the handshake-vetting process. But because of the relative low-profile of these elections, finding out more about the candidates before election day can be a challenge. Many candidates run unopposed, and it can be hard to find out about candidates unless you’ve been tracking your local ANC issues regularly. In 2016, GGWash undertook an immense effort to evaluate and endorse ANC candidates across the city. We crowdsourced a candidate questionnaire so we had relevant questions for each race (which is what we want help with right now! ), we received responses from over 200 candidates, endorsed 50 and published all of the information online. We’d like your help in crafting questions for this questionnaire. Please fill out the form below with questions you would like your ANC candidates to answer publicly. We’ll sort through your suggestions to help us finalize the questionnaire we distribute to final list of candidates. Because these elections are so local, we’re looking for questions relevant specifically to your neighborhood or ANC, or that could apply over a wider range like much of your ward, or even the whole city. Map of ANCs where GGWash endorsed a candidate in 2016. Image by David Alpert. What do you wish you had answers to? Why doesn’t this area have more grocery stores? What are you, candidate, going to do about [insert local development controversy here]? What should be done about that terrible intersection? Here’s your chance to ask the people who might represent you on these issues. Not sure which ANC or district you’re in? Find out with this tool!